Katie Quinn is many things: a chef, cookbook author, podcaster, content creator, world traveler, and overall awesome person. With numerous projects happening at once, she needed a way to distribute her content—whether it be YouTube videos, podcasts, or special announcements—with her worldwide audience. An e-newsletter was the perfect solution. 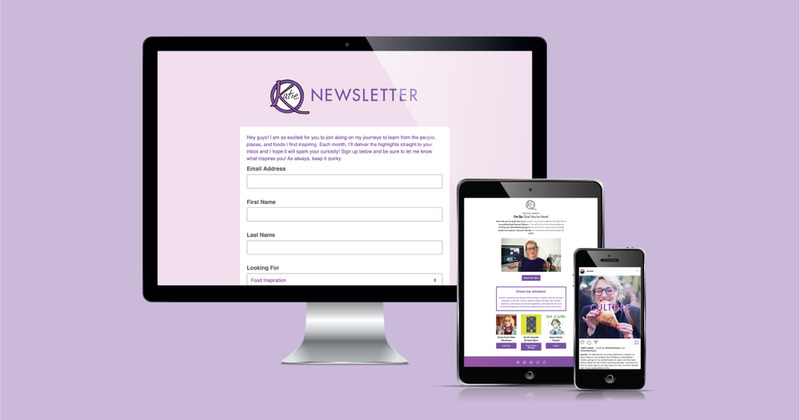 Katie's e-newsletter design needed to be editable, mobile-friendly, and match her brand's motto to Keep it Quirky. Being based in London, we were tasked with meeting the newly set privacy laws set forth by the General Data Protection Regulation (GDPR). We didn't let these regulations hold us back from creating an interactive e-newsletter infused with personality, color, and a plethora of food and travel-related custom graphics! 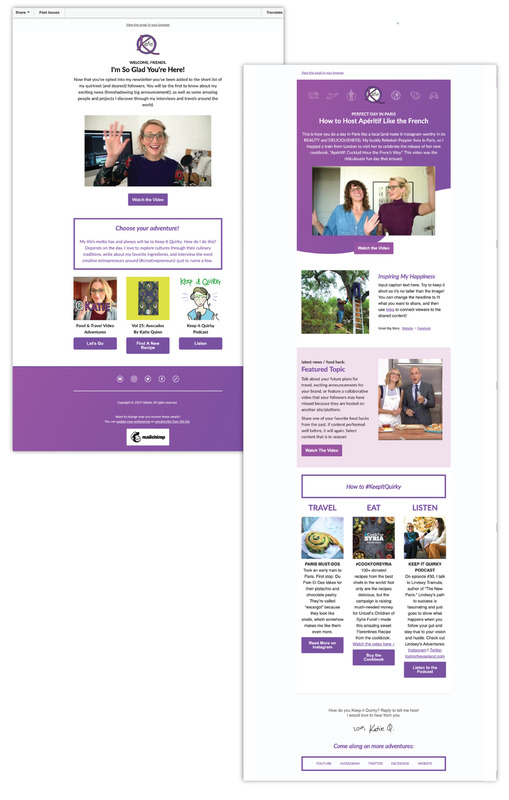 Once the e-newsletter was finished, we create a launch strategy to encourage subscriptions across her many channels. The strategic plan included launch post content, hashtags, images, GIFs, social media skins, and more. Within the first week, the e-newsletter earned hundreds of subscribers.